Is This The Second Generation Google Glass? Looks like Google is working on a new iteration of the Google Glass. Google was just granted a new patent for a wearable device that has input and output structures. The said device fits onto one ear and is worn around the head of a user like a monocle. Many reports are saying that this could be the second-generation of the Google Glass. Although the first-generation of the Google Glass did not fully take off, and public sales of said device was shut down last January, this does not keep the tech giant from improving. The patented monocle has input and output structures. The band serves as an input surface for the user. Although there was no mention of Google Glass in the patent, the patented device appears as a sleeker and niftier version of Google’s popular wearable. With the shut down of the public sales of the first-generation Glass, some say that its the company’s way to reposition the product. To add to the speculation, Google hired engineers from Amazon’s Lab126 in September of the previous year, which is a hardware research arm. They are reportedly working on a certain “Project Aura,” which many believe to be the incarnation of Google Glass. 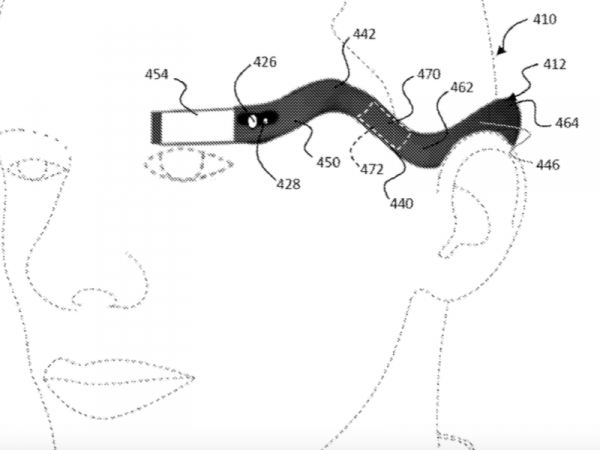 If this patent is not the second-generation Google Glass, it still points towards the birth of new Google wearable device, which is an exciting thing to look forward to.